Nitrates, Nitrites and other Ammonia-based compounds can be confusing. This article is our attempt to simplify the science and explain why these things matter. If you’re looking for a high-level chemistry lesson, this is not the article for you. But feel free to read some of our sources to get your fix: the CDC, NIH, ScienceDirect, and peer reviewed studies like this and this. First, you need to know that nitrogen is an essential nutrient for all life. About 78% of our air is Nitrogen (and only 21% Oxygen), so it is all around us. And yet, Nitrogen gas (N2) is bonded together with a triple covalent bond, which renders it unusable to plants and animals. Nitrates (NO3–) and Nitrites (NO2–), to plants and animals, are usable forms of Nitrogen. 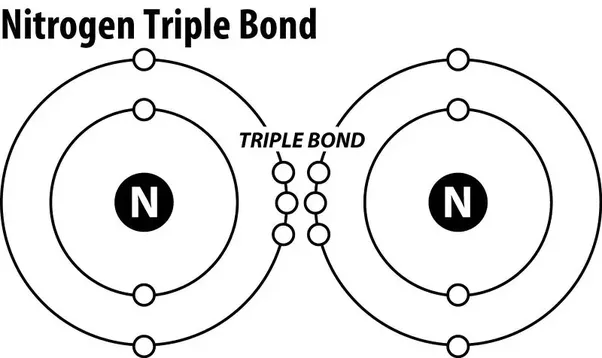 Since Nitrogen gas (N2) has a strong bond between both Nitrogen atoms, it needs to be split and converted into different forms to be used by organisms. For plants, certain types of bacteria have an enzyme called nitrogenase, which is able to split the nitrogen bond and convert it into Ammonia (NH3), which then converts to Ammonium (NH+4) when it is mixed with water, which can be used by plants. Other types of bacteria, called nitrifying bacteria, can then convert Ammonia into Nitrate and Nitrite, which are even easier than Ammonium for plants to use. So that’s how Nitrates and Nitrites are formed naturally. Let’s take this one step further for our article’s sake. In chlorinated water, nitrites are oxidized into nitrates. That’s important to mention, because nitrites are something the EPA does not like to see in drinking water. Here are the EPA’s drinking water standards. So chlorine oxidizes nitrites into nitrates, which is good news for our chlorinated swimming pools. Just like the different types of phosphates, there are two types of nitrates and nitrites: organic and inorganic, according to the CDC. In swimming pools, we are primarily dealing with inorganic nitrates and nitrites. As you can probably imagine, with an element so essential, yet so unusable in its natural form (N2), mankind has developed synthetic forms of Nitrates, Nitrites, Ammonia and several others too. These are most commonly found in fertilizers (and even pool and cleaning chemicals). So soils and vegetation around your pools can carry nitrites and nitrates in via wind and rain. A more common source, however, is us. People. Human waste (urine and feces) contain nitrogen too. According to this study (which, as an aside, has just the most hilarious title. We HAD to find a way to include it in our article when we came across this gem) urine makes up 80% of the nitrogen excreted from humans. What form of nitrogen you ask? Urea. Urea is a word you will want to remember, as it directly ties into chloramines, pool air quality, disinfection byproducts, and many more topics that fire us up here at Orenda. Urea ((NH2)2CO, according to a study from Cornell University, can be broken down to Ammonium (mentioned earlier), and Ammonium can be broken down into nitrate. Honestly, focusing on all the specific reactions and forms of nitrogen is besides the point here. The point is when we pee in swimming pools, we are contributing to the nitrogen loading of the pool…be it ammonia, nitrite or nitrate. At the end of the day, all of these are micronutrients for organisms, including algae and bacteria, and therefore we don’t want them in our water. But since we know swimmers will continue peeing in pools, urea will continue to be an issue. And therefore, nitrate / nitrite / ammonium / etc. contamination will come along with it. If you want to get more into the health impact of all this, feel free to read this study. Additionally, urea and other bather waste needs to be oxidized by chlorine, which is better explained by the concept of breakpoint chlorination. “Nitrate may be successfully removed from water using treatment processes such as ion exchange, distillation, and reverse osmosis. Contact your local health department for recommended procedures. Heating or boiling your water will not remove nitrate. Because some of the water will evaporate during the boiling process, the nitrate levels of water can actually increase slightly in concentration if the water is boiled. Mechanical filters or chemical disinfection, such as chlorination, DO NOT remove nitrate from water. So there you have it. Normal pool filters and pool chemicals do not remove nitrates from water. And by the way, they put the “DO NOT” in all caps, not us. They really mean it. If you’re interested in reverse osmosis (R.O. ), here’s an example of one company that puts all the filtration equipment in a trailer and does the process for you. R.O. filtration trailers can remove almost anything from water, including nitrates. If you find R.O. or ion exchange cost prohibitive, draining and diluting your pool may be the best alternative. And of course, the less urine (urea) in the pool, the better…but let’s be honest…that’s asking a lot.